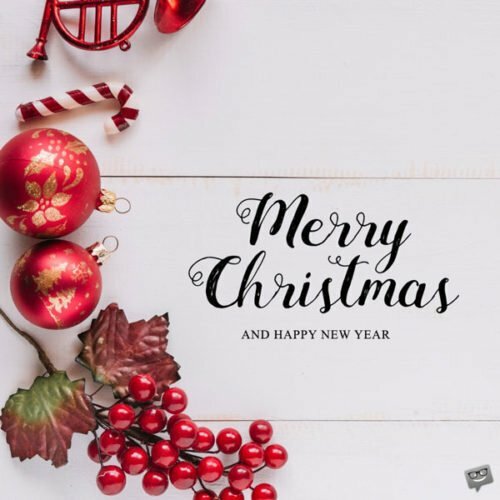 Merry Christmas Images | That Christmas Spirit! 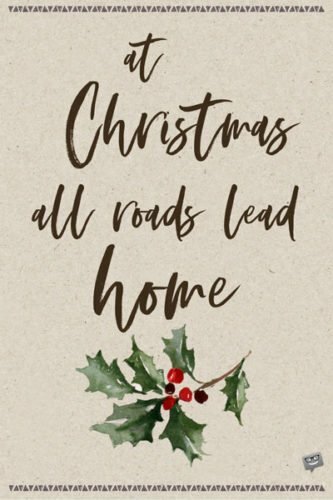 Today, those who don’t follow this traditional way of Christmas greeting share their wishes online, via e-mail or on social media, so we thought we could lend a helping hand. Go ahead and share these pics to spread that Christmas spirit all around. Santa Claus is one of the true symbols of Christmas, and this joyful image of his sleigh full of gifts is really optimistic, as holiday season should be. Share it with family and friends alike. 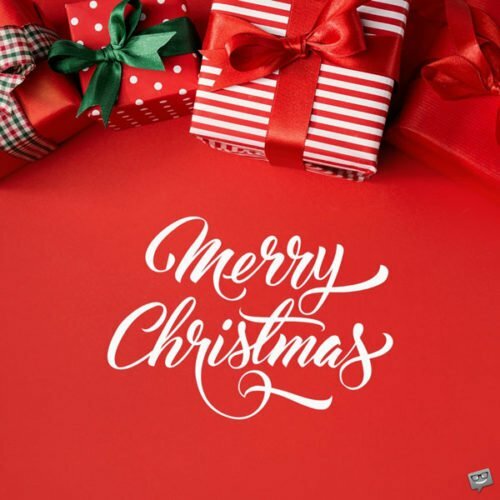 This striking red image with a Merry Christmas wish is a minimal choice for a straightforward Yuletide greeting, with wrapped-up presents completing the holiday tone. 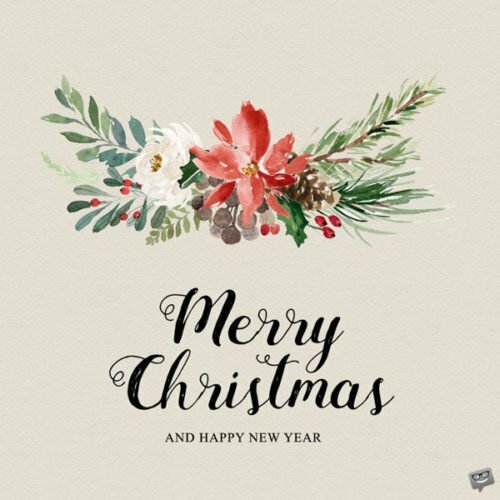 A retro Christmas image to share with older friends, parents or grandparents – or anyone who would appreciate the flower bunch over this nice paper-style background. 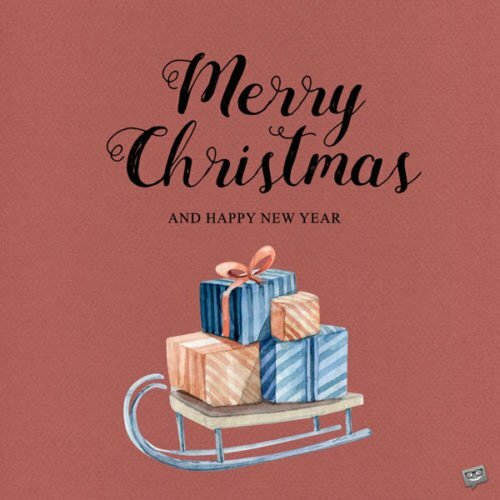 This Season Wishing You Merry Christmas and Happy New Year. Everyone is going to love this one: a small bird sitting on a bunny’s nose, both enjoying the snow fall. 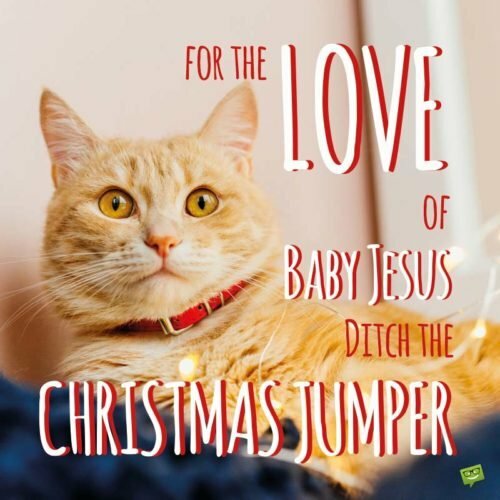 This is a real hit as a symbol of Christmas in our hearts. A dark wooden table with pine branches and wrapped presents with ribbons make a great Christmas picture. 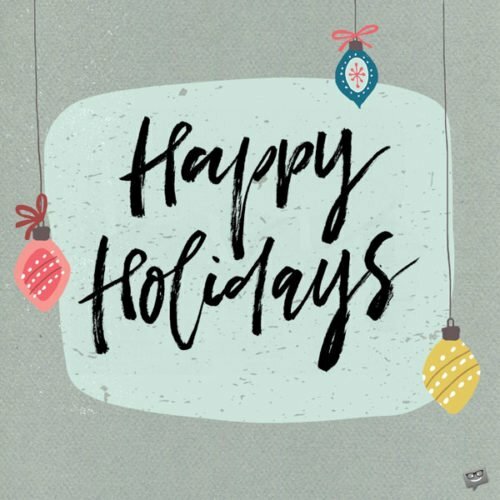 You can share this on Facebook, Instagram or send it via e-mail as a holiday greeting. 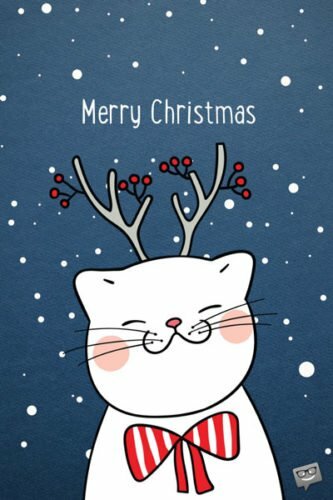 This funny and cute cat with reindeer antlers smiling over a snowy blue background will be an image many –probably cat-loving- people are going to appreciate. 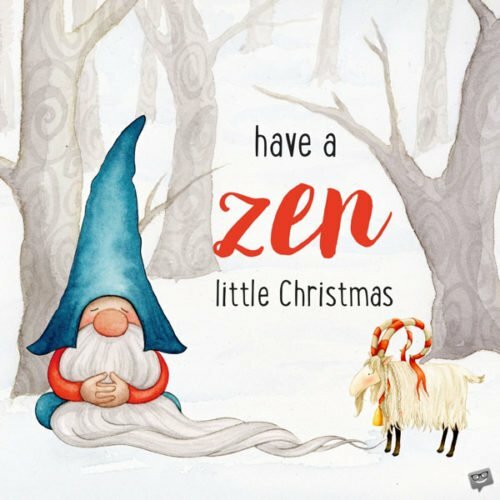 Have a Zen little Christmas. Now, this has already started being shared by many friends, who are not necessarily into meditation, but would appreciate a little zen moment in this holiday season. An ideal Christmas greeting for friends with kids or those who don’t have kids, which is literally everyone. 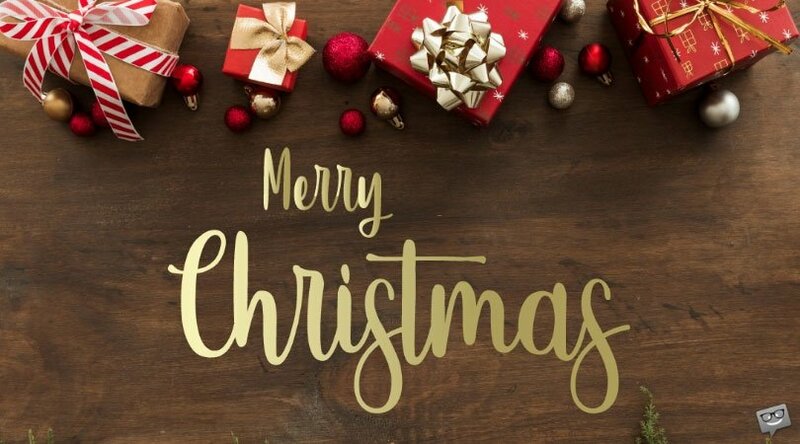 That’s a beautiful Christmas image with red ornaments on a white table, which is great to share with a friend, man or woman, who is going to appreciate the good taste in it. Blue usually reminds us of night, so this beautiful blue background with golden-like stars that look like snowflakes composes a picture that is a fine combination of everything we tend to associate Christmas with. What is original about this image of a Christmas sweater is its intention to appeal both to someone who might not be so much into the Holiday spirit and to others that could be absolutely crazy about it. Share it with someone as a warm Christmas greeting and rest assured it’s a winner. 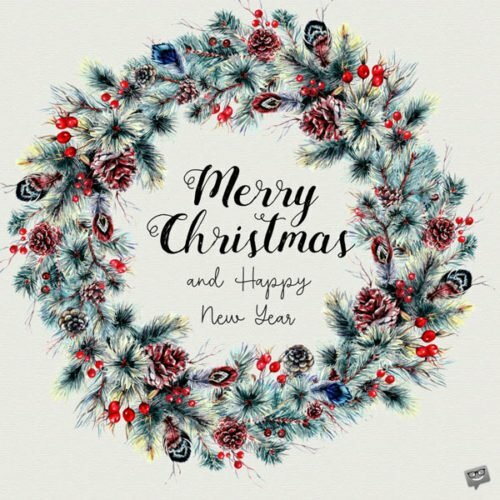 This classic Christmas-themed image with its ornaments on the foreground and its clear Holiday greeting will be a standard for the Season. 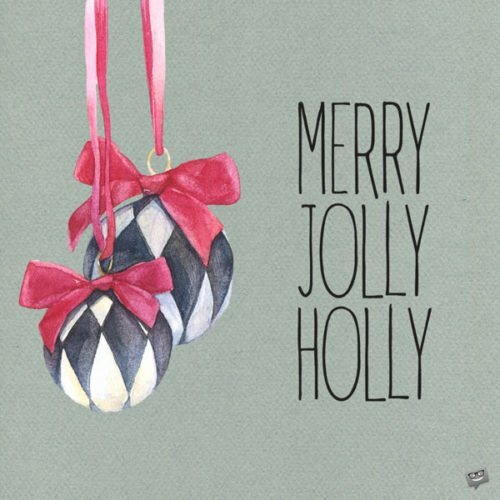 Wishing you Joy, wishing you Cheer. You can share this somehow nostalgic image of what seems to be a blurred window glass in a warm house with a decorated Christmas tree outside, in the snow, with anyone that focuses on the cheerful side of this Holiday season. 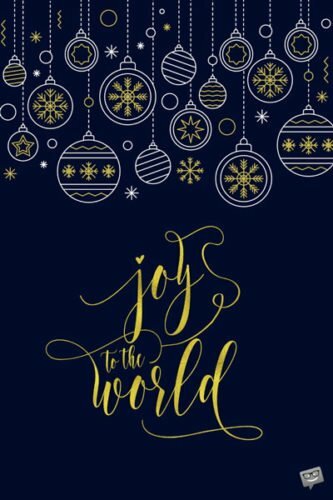 We often love minimally designed pics and this Christmas picture wishing Joy to the world on a dark blue background is one of those. It is ideal to be shared with loved ones whose aesthetics you appreciate. This cute fish wearing a red scarf around its -well…- neck and antlers as a tail seems to be flying in the air as the snow falls. Combining night colors and a funny character, this is literally for everyone. 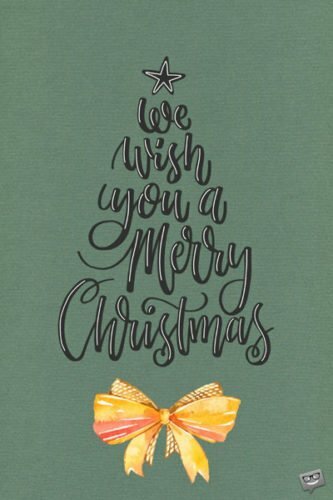 We love this Christmas-tree shaped Season’s greeting over this beautiful ribbon on this green paper background. 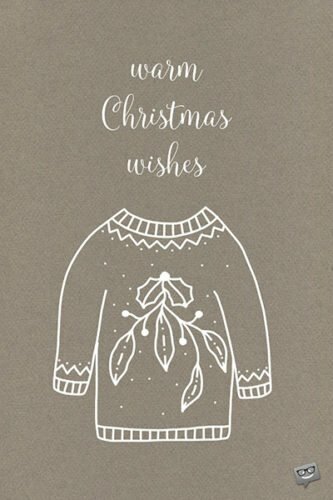 Christmas might be all about abundance, but a minimally decorated image like this will be a wish many will love. This image looks exactly like an old-style Christmas Card, which is something which adds to its appeal. Feel free to share it with anyone, but especially friends or family that are coming back home for Christmas. 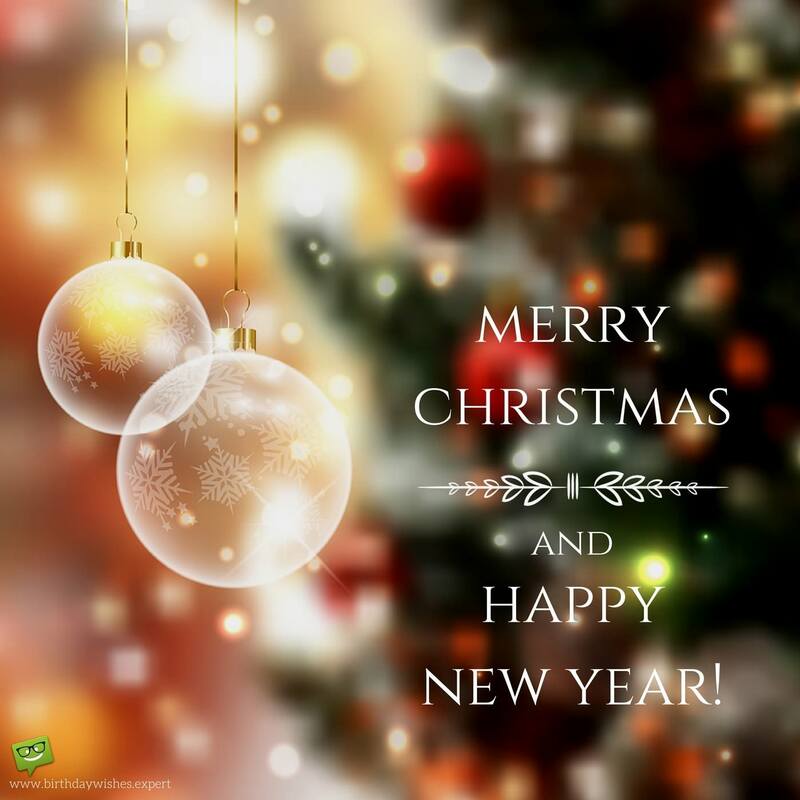 Wishing you joy! 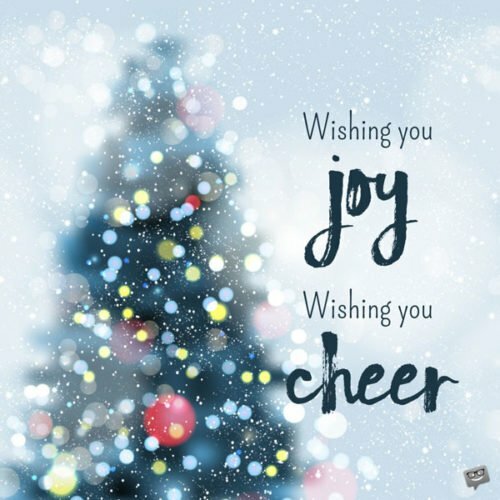 Wishing you Cheer! 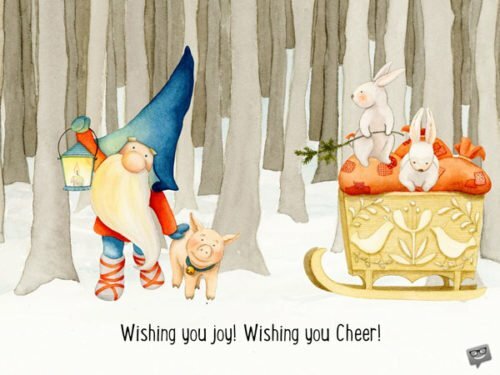 Here’s a very original Merry Christmas image that depicts an elf and a piglet trying to find their way out of a forest while standing next to their (or Santa’s?) sleigh full of gifts and bunnies. 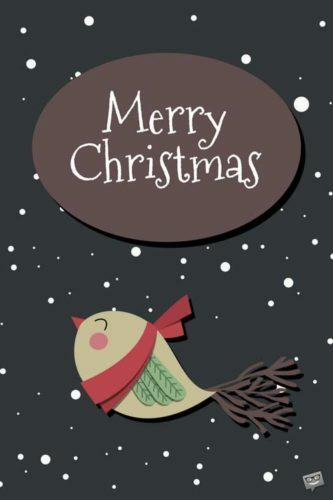 Sharing it will help you send holiday greetings without even saying “Merry Christmas”. Can’t get more original than that! 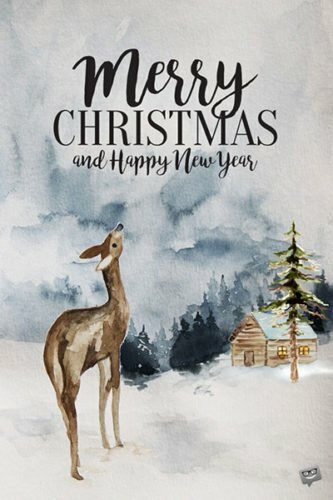 This truly stylish Merry Christmas and Happy New Year greeting card can be shared with all the people you love and care about, this Season. Its serene white table background completes a great wishing image. You can almost feel the texture on this Christmas image, wishing Happy Holidays to its recipient. A great pic to share with various people, whether religious Christians or even people enjoying the festive atmosphere that Yuletide brings all around. Merry Christmas. Wishes to one and all. 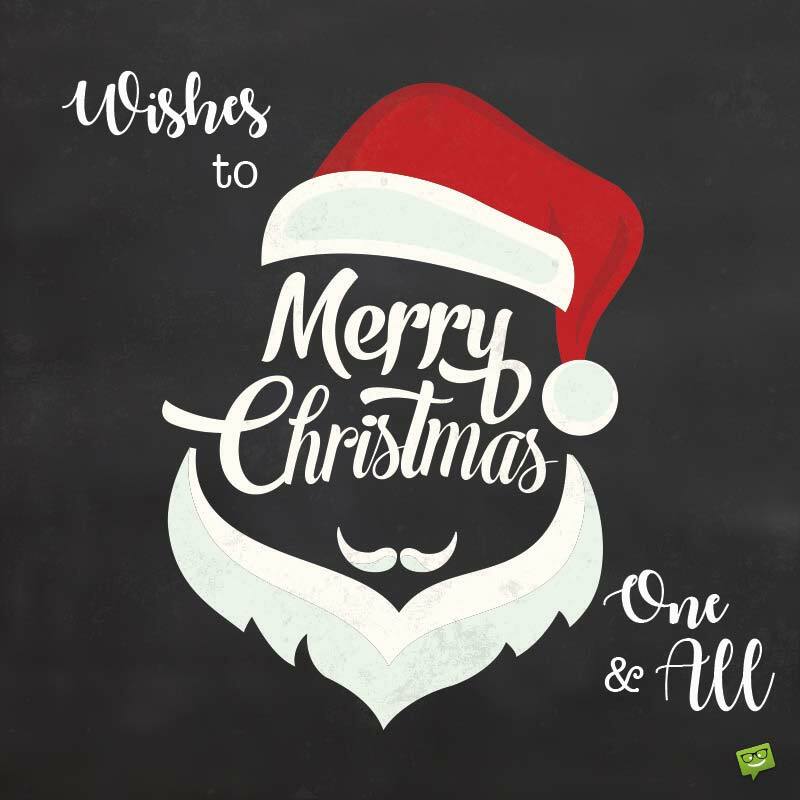 Santa’s typical characteristics – his beard, mustache and a hat to match his red suit – all appear on a clear blackboard-like background. A unifying Christmas greeting completes the picture, turning this image to an original one to share. 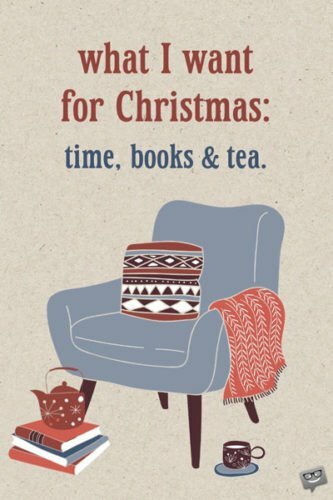 What I want for Christmas: time, books and tea. We absolutely love this pic: although not typically Christmassy, it combines several elements that feel like winter – season associated with Christmas in the northern hemisphere. The stylish armchair, cushion, tea pot and some books on the floor compose an image that actually shows what some people want for Christmas: a good rest. 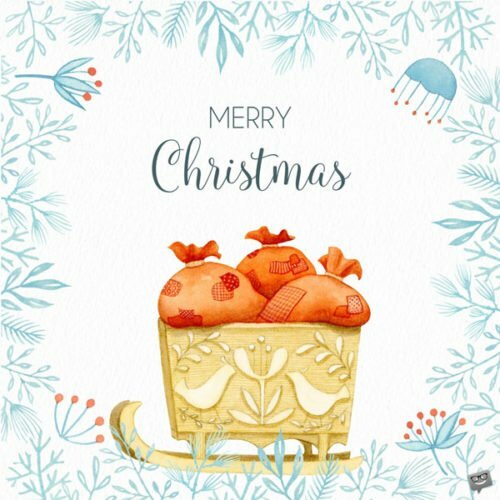 This illustration of a mistletoe wreath with a Christmas greeting under it, all on a blue background with falling snowflakes is ideal if you’d like to share a wish with literally anyone, from the most traditional ones to those seeking something more modern. 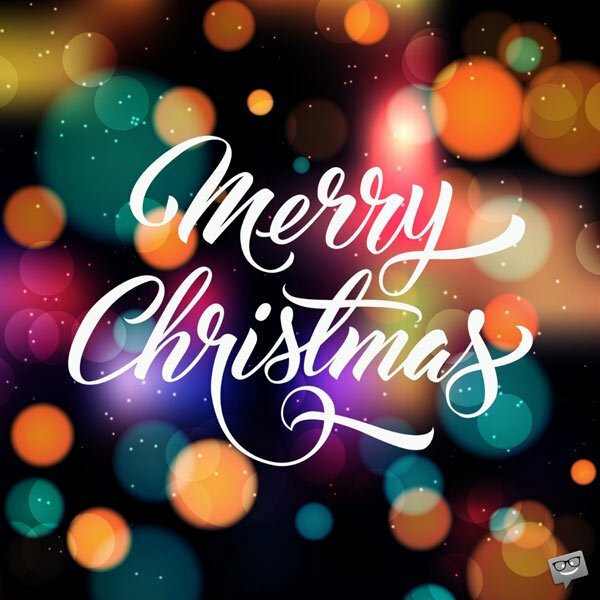 A Holiday greeting on a Christmas lights bokeh background makes a great image to share with someone who would appreciate the vivid colors on it. Another beautiful Christmas wreath with a joyful message written in it makes a lovely image to share with family and friends longing for festivities. 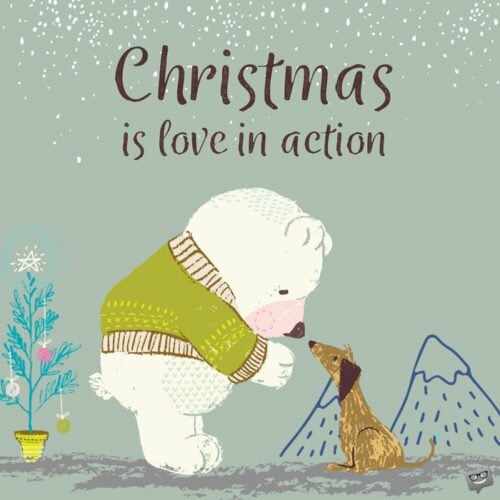 This Christmas pic has a velvety texture and joyful message on it. Since the message is so out-of-the-box for Christmas, you can share this image with young friends and family members who might not be so into Christmas anyway. Problem solved, greeting sent! 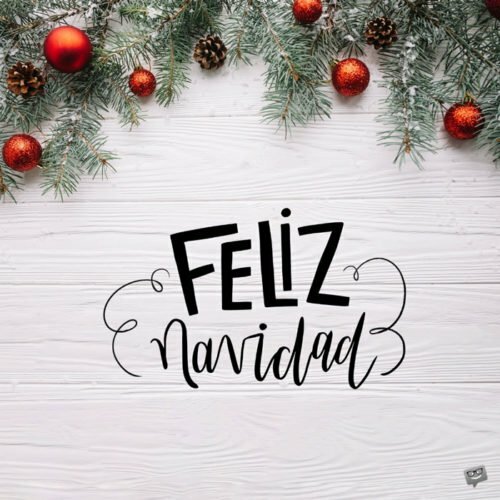 Share this lovely image with a sleigh full of gifts on a tasteful red paper-texture background, and it’s certain you’ll surprise many this Christmas. 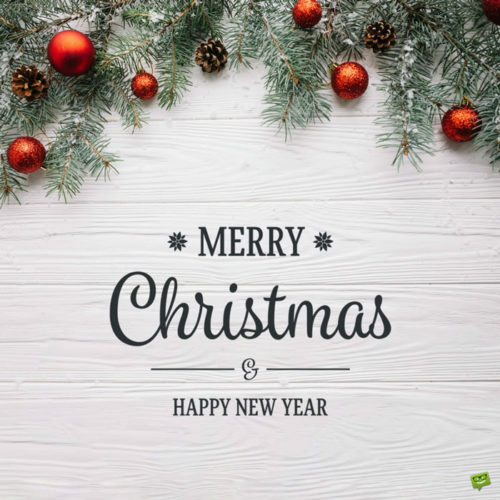 Whether you believe it’s a time of giving or a time of getting gifts, Santa Claus’s sleigh full of bags with presents is a great theme for a Christmas image. Share this one with the ones who actually expect you to get them a gift. You might raise some concerns! 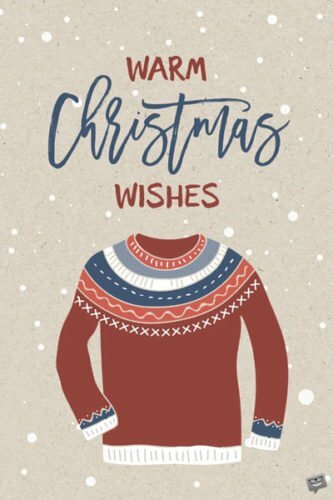 If you’re going to send some warm wishes, put a sweater on. Even if this is not completely necessary, sharing this card will make the ones who’ll get it feel warm inside anyway. This one is really beautiful, with the deer looking up in the sky and the forest background painted with water colors. Share it with family members who are going to appreciate a classic scene – almost out of a Disney movie. 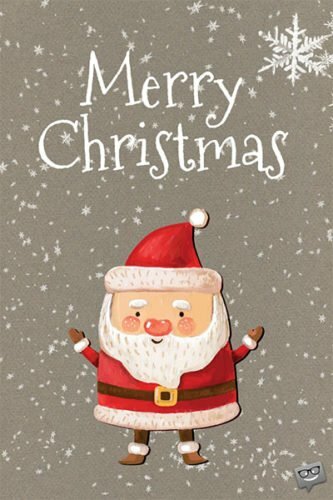 There couldn’t be a pic to share this Holiday season without a cute Santa. 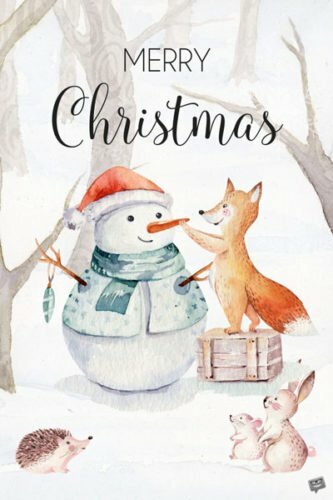 Since we love background with textures that look 3D-like, he stands out on this rather neutral background with snow falling, Merry Christmas indeed!